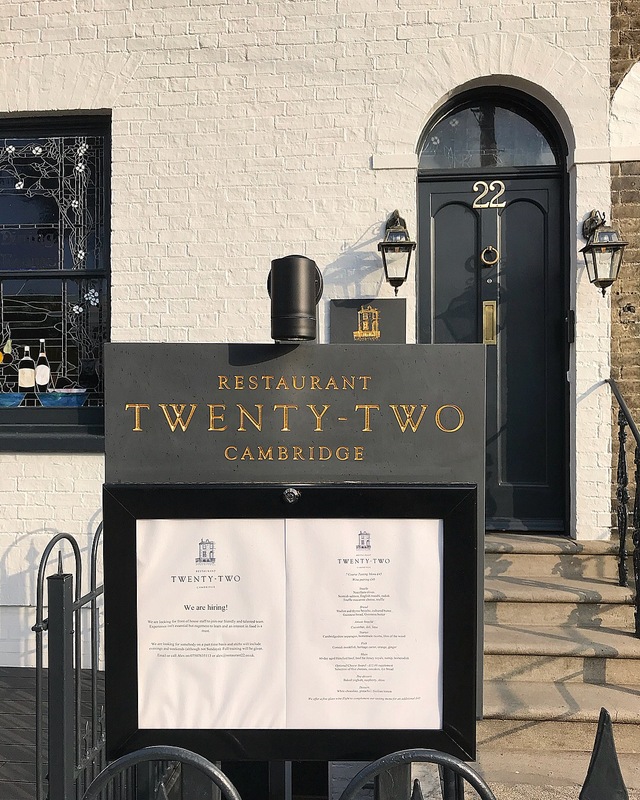 There’s an exciting addition to the Cambridge food scene and that’s the newly re-opened Restaurant Twenty-Two. 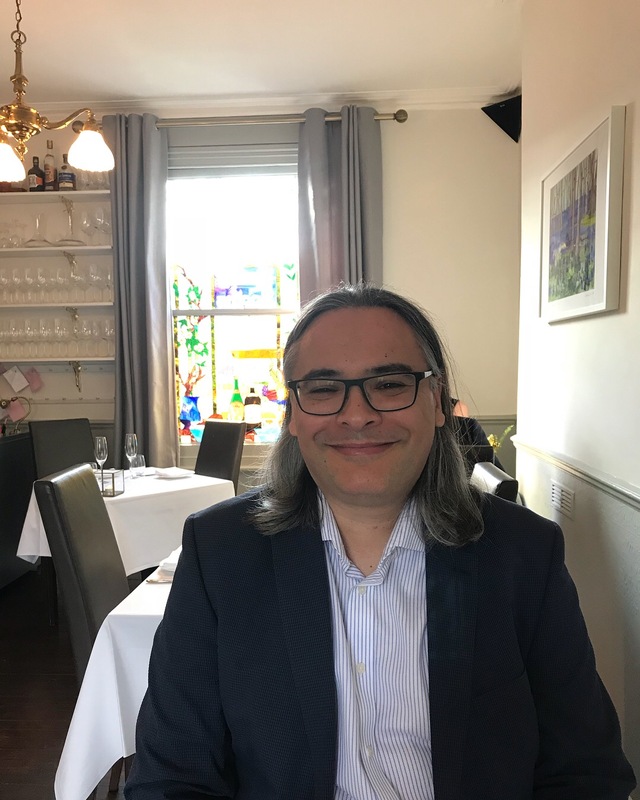 It’s now in the hands of Sam Carter (chef) and his fiancée Alex Olivier (front of house manager) who are taking the restaurant to the next chapter of its 30-year history. 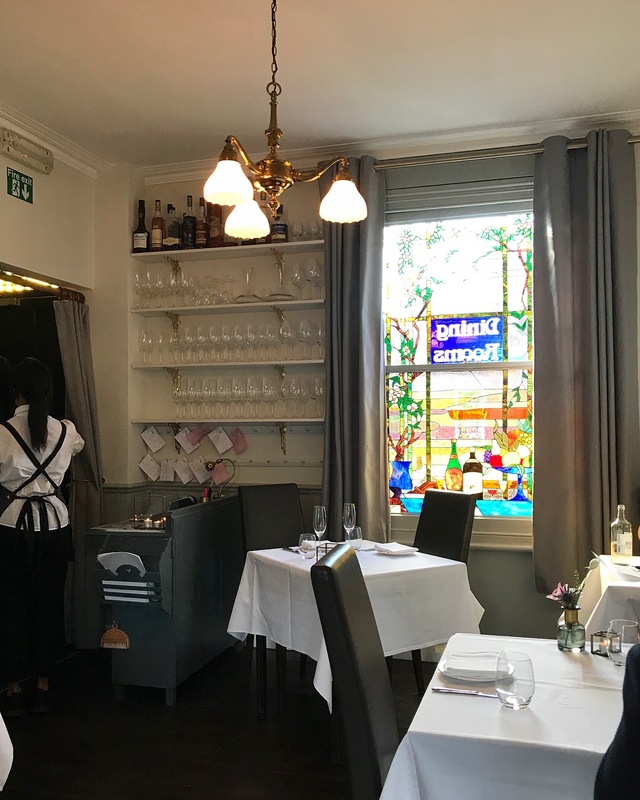 It has been a labour of love for this lovely couple, who purchased the restaurant from the former owner and painstakingly refurbished it into a business and home. 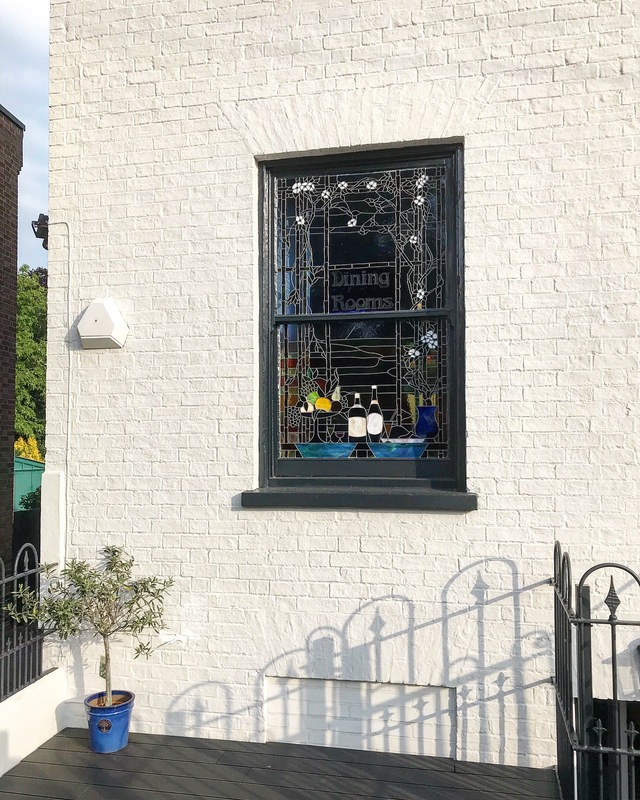 The converted Victorian townhouse is a real gem along Chesterton Road, understated in its presence among the large pubs and shops but once noticed, it leaves a lasting impression. 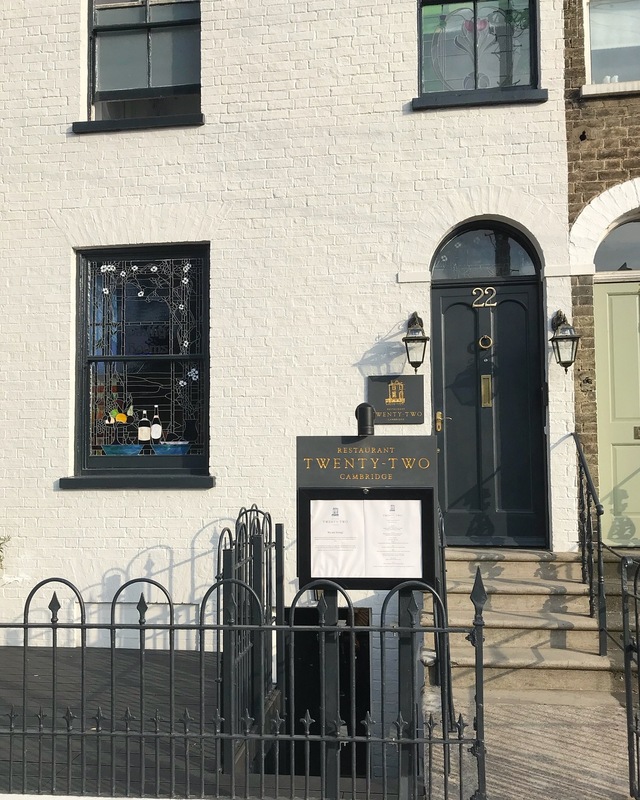 The exterior is beautifully presented with its muted tones of white walls and dark grey door and window frames, with some gold accents for a touch of luxury. The bespoke stained glass has been retained and sparks curiosity about what lies behind the Dining Rooms lettering. The 22-cover dining room is small but there is still space between the tables to sit comfortably. It’s cosy but not overcrowded. There is also a private dining room upstairs that seats 14 people. The venture is a match made in heaven as Sam has an impressive culinary resumé in Michelin-starred kitchens, and Alex is a former solicitor with experience in restaurant management. 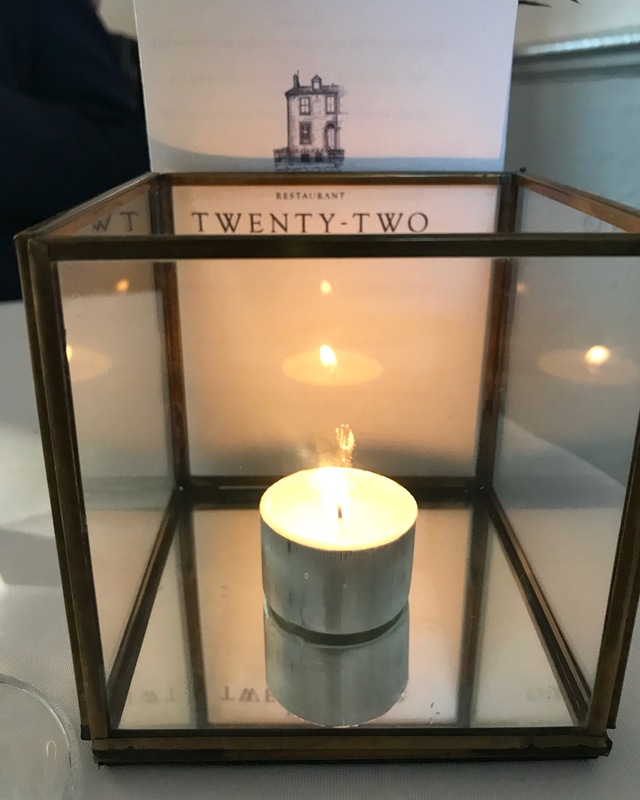 It’s apparent they have a great team in place as the food, drink and service during our dinner proved to be faultless. The menu, which changes every fortnight, focuses on contemporary British dishes with a creative twist. There is a definite emphasis on seasonality with many of the ingredients sourced from local producers. An à la carte menu is available but I heartily recommend the tasting menu (five or seven-course) for the complete gastronomic experience. Paulo and I went for the seven-course menu with the additional cheese board option because we wanted to taste ALL OF THE THINGS. Luckily we agreed as the tasting menu must be ordered by the whole table. Each bite was an explosion of flavours and textures and I found myself eating every last crumb and scraping the last bit of sauce on my plate. The food was that good.